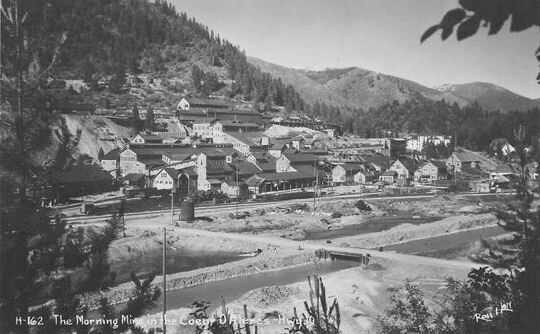 While thousands passed through Idaho on the Oregon Trail or during the California gold rush of 1849, few people settled there. 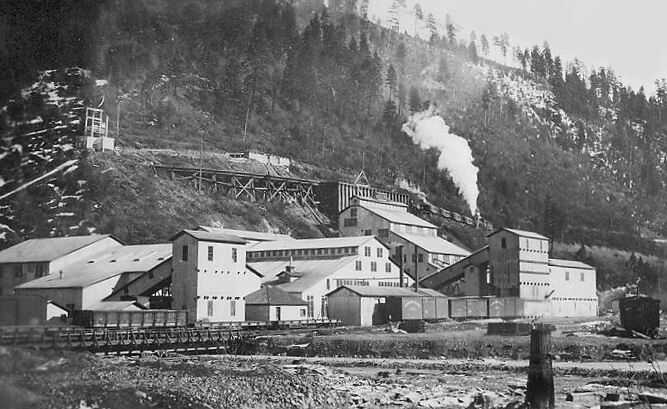 In 1860 the first of several gold rushes in Idaho began at Pierce in present-day Clearwater County. 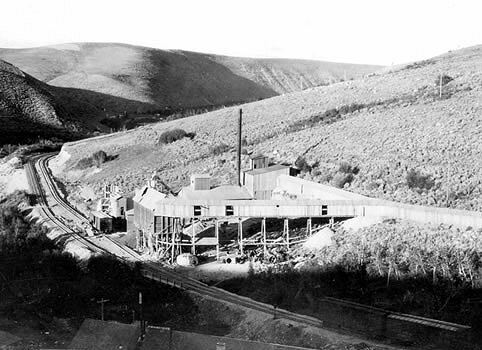 From 1860-1866 Idaho produced 19% of all gold in the United States, or 2.5 million ounces. 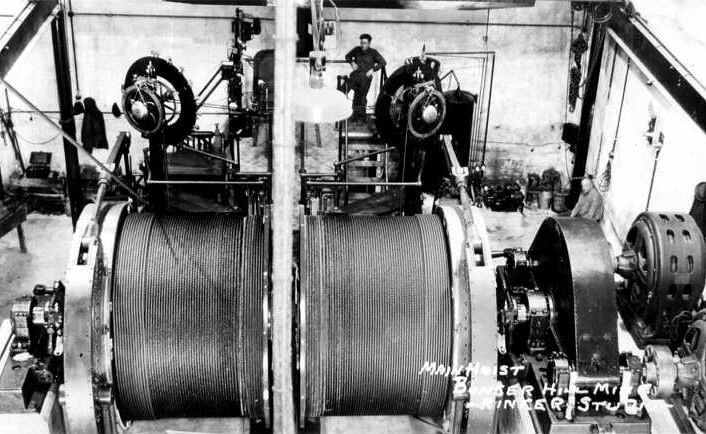 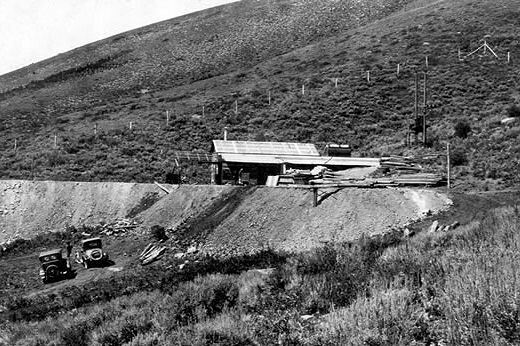 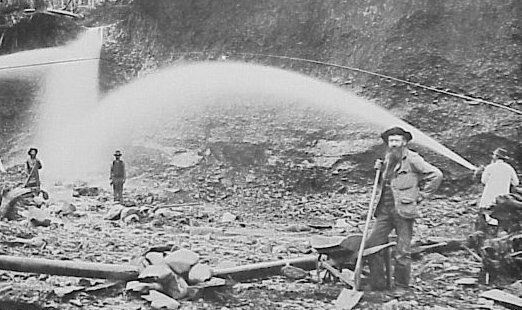 Most of Idaho's mining production from 1860 through 1969, has come from metals equating to $2.88 billion out of $3.42 billion, according to the best estimates. 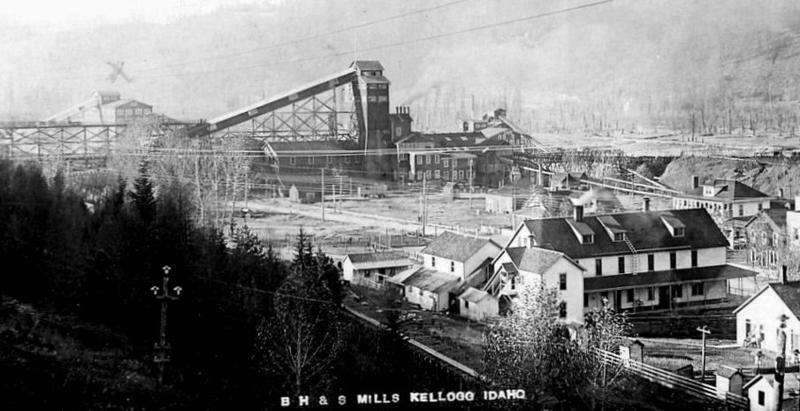 Of the metallic mining areas of Idaho, the Coeur d'Alene region has been the largest producer, and accounts for about 80% of the total Idaho yield. 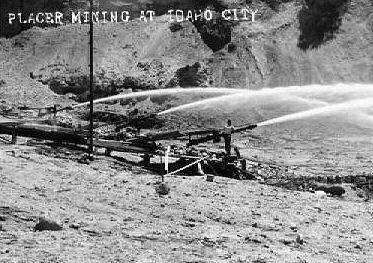 Several other areas, Boise Basin, Wood River Valley, Stibnite, Blackbirg, and Owyhee, were relatively important producers. 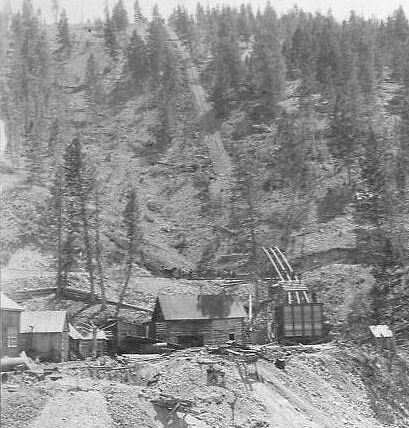 Atlanta, Bear Valley, Bay Horse, Florence, Gilmore, Mackay, Patterson, and Yankee Fork all ran on the order of ten to twenty million dollars, and Elk City, Leesburg, Pierce, Rocky Bar, and Warren's make up the rest of the major Idaho mining areas that stand out in the sixty or so recorded areas of production. 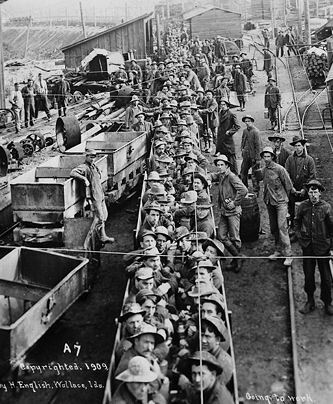 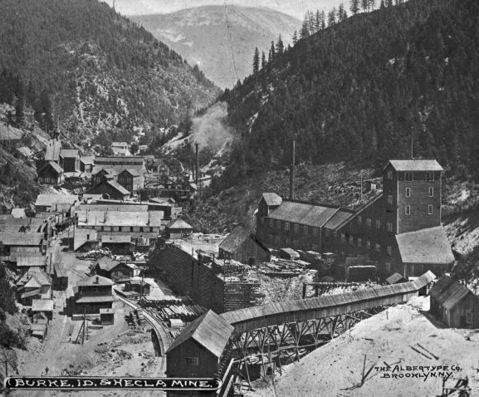 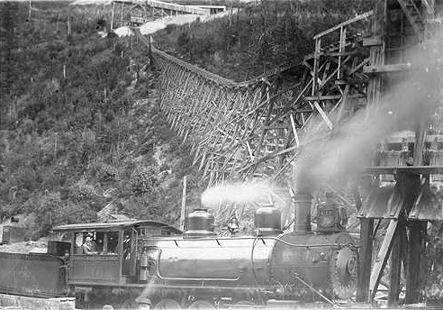 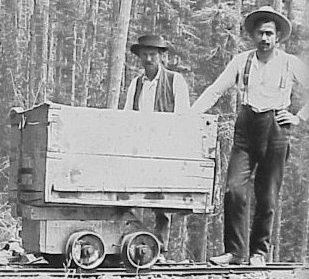 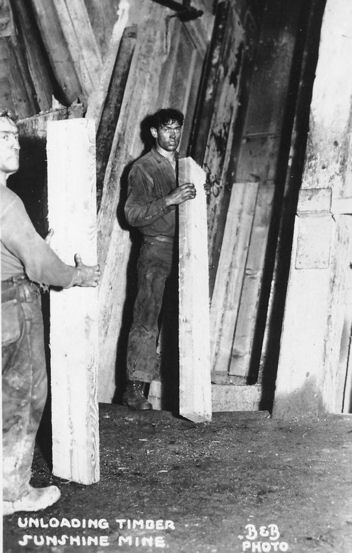 Idaho was plagued by labor unrest in the mining district of Coeur d'Alene. 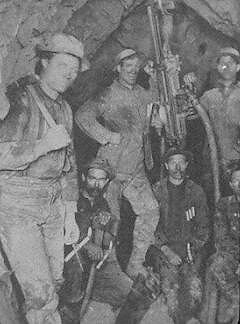 In 1892, miners called a strike which developed into a shooting war between union miners and company guards. 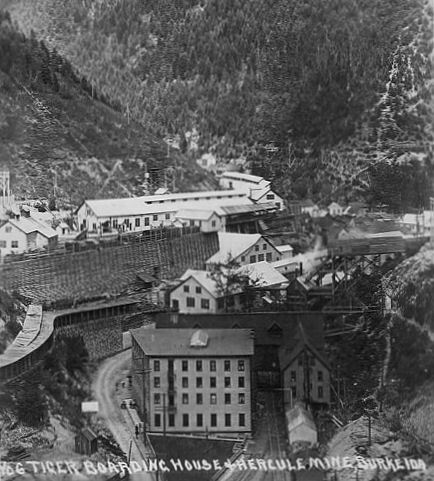 Each side accused the other of starting the fight. 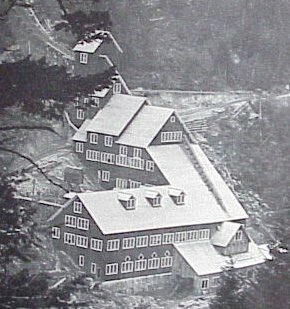 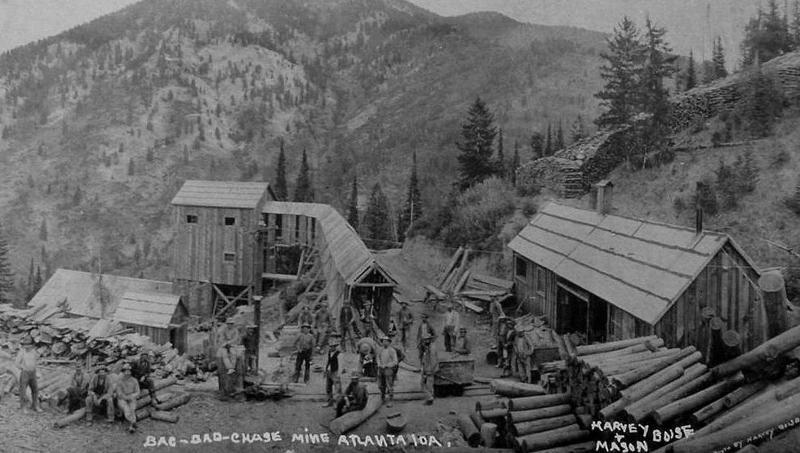 The first shots were exchanged at the Frisco Mine in Frisco, in the Burke-Canyon north and east of Wallace. 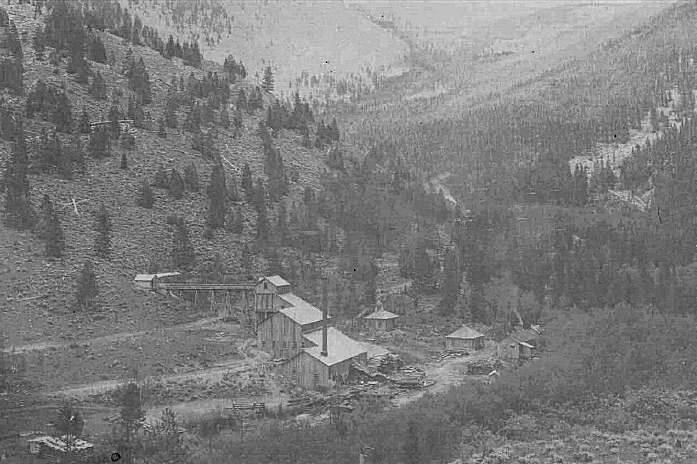 The Frisco Mine was blown up, and company guards were taken prisoner. 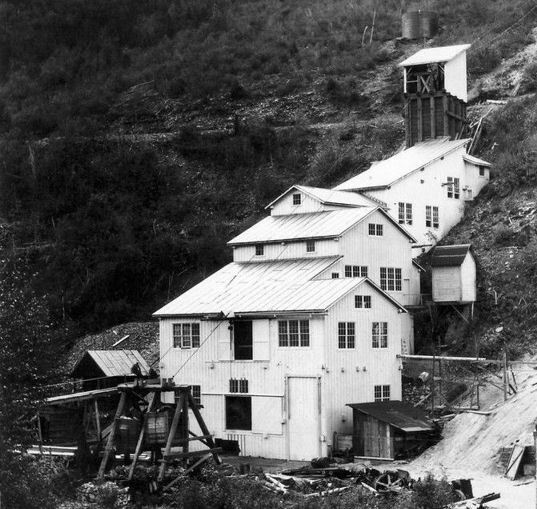 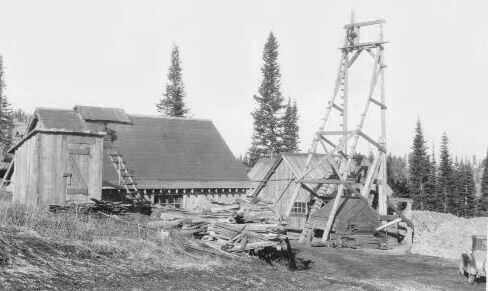 The violence soon spilled over into the nearby community of Gem, where union miners forced the Gem mine to close, then traveled west to the Bunker Hill mining complex near Wardner, and closed down that facility as well. 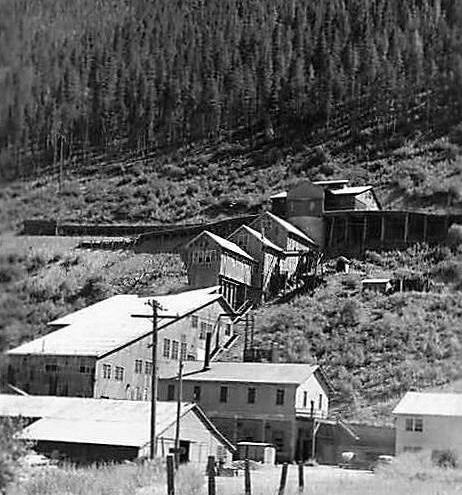 Several had been killed in the Burke-Canyon fighting. 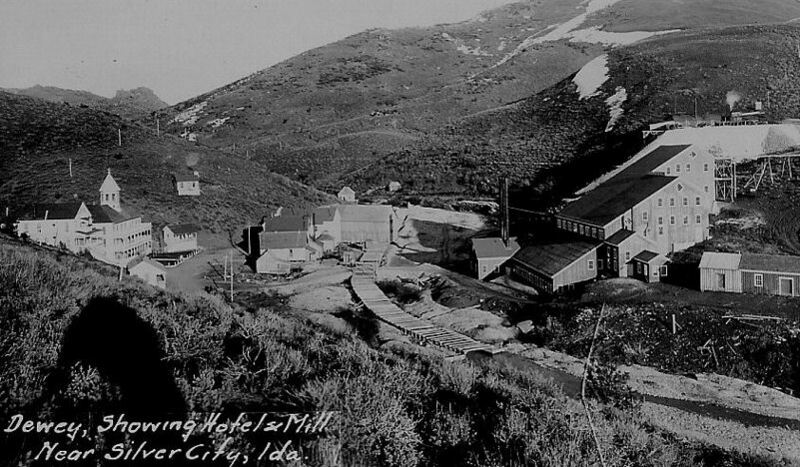 The Idaho National Guard and federal troops were dispatched to the area, and union miners and sympathizers were incarcerated in outdoor bullpens. 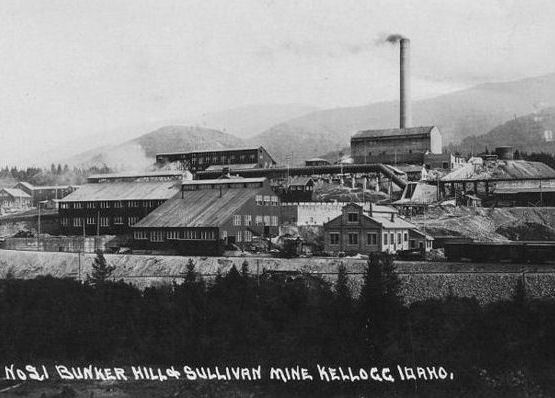 Hostilities would again erupt at the Bunker Hill facility in 1899, when seventeen union miners were fired for having joined the union. 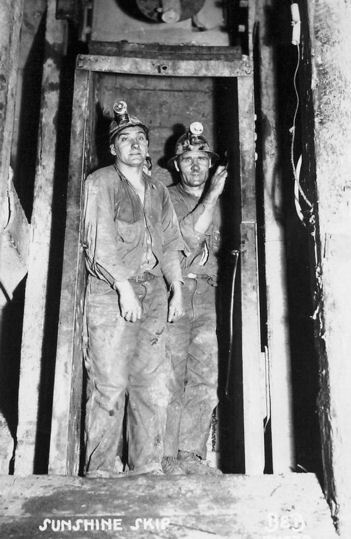 Other union miners were likewise ordered to draw their pay and leave. 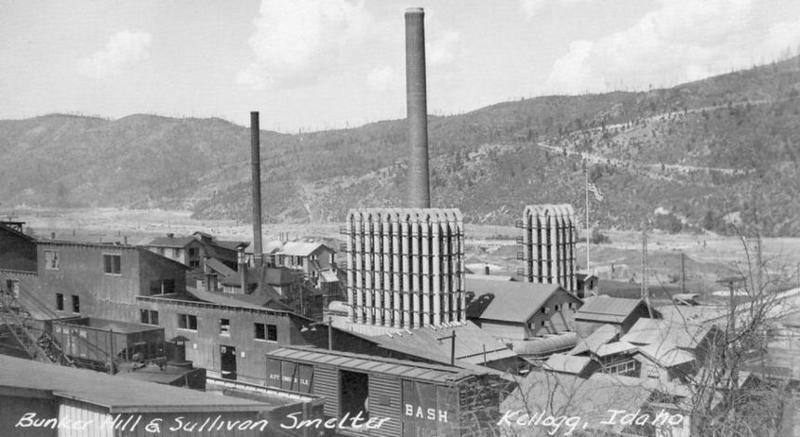 Angry members of the union converged on the area and blew up the Bunker Hill Mill, killing two company men. 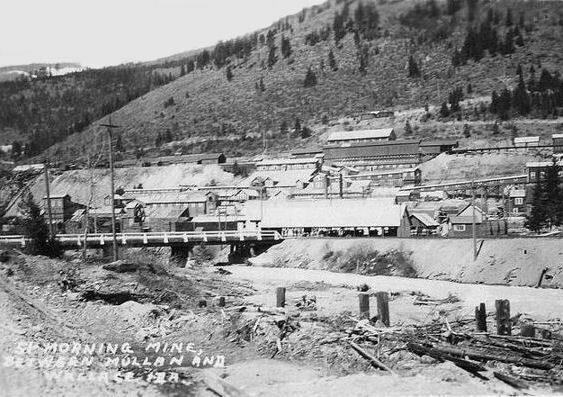 In both disputes, the union's complaints included pay, hours of work, the right of miners to belong to the union, and the mine owners' use of informants and undercover agents. 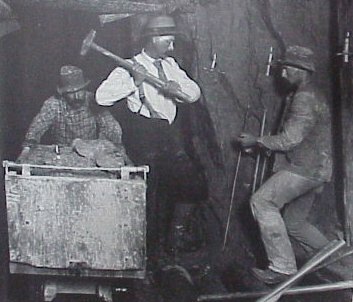 The violence committed by union miners was answered with a brutal response from mine owners in 1892 and in 1899. 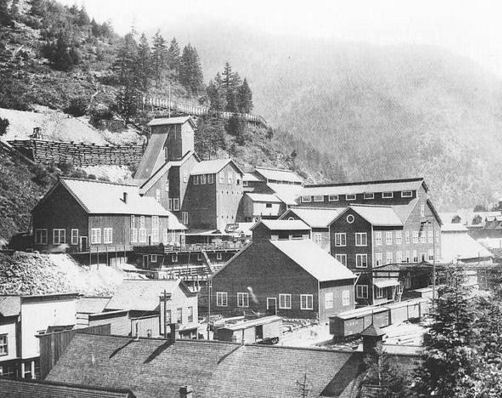 Through the Western Federation of Miners (WFM) union, the battles in the mining district became closely tied to a major miners' strike in Colorado. 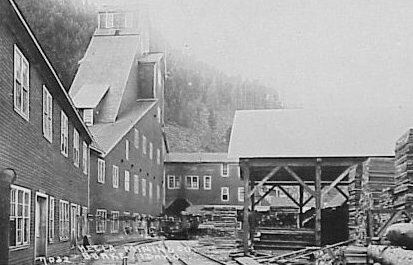 The struggle culminated in the December 1905 assassination of former Governor Frank Steunenberg by Harry Orchard (also known as Albert Horsley), a member of the WFM. 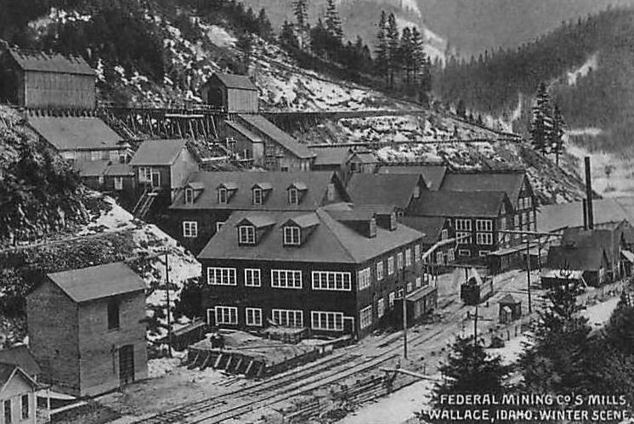 Orchard was allegedly incensed by Steunenberg's efforts as governor to put down the 1899 miner uprising after being elected on a pro-labor platform. 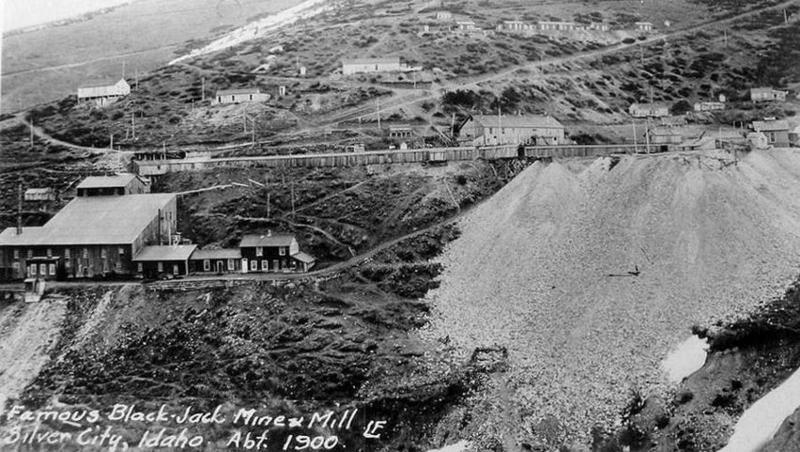 Pinkerton detective James McParland (of Molly Macguire fame) conducted the investigation into the assassination. 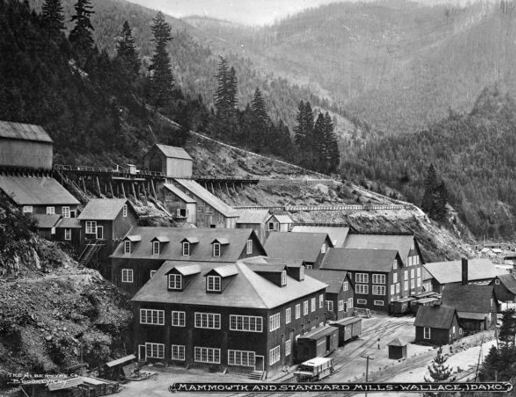 In 1907, WFM Secretary Treasurer "Big Bill" Haywood and two other WFM leaders were tried on a charge of conspiracy to murder Governor Steunenberg, with Orchard testifying against them as part of a deal made with McParland. 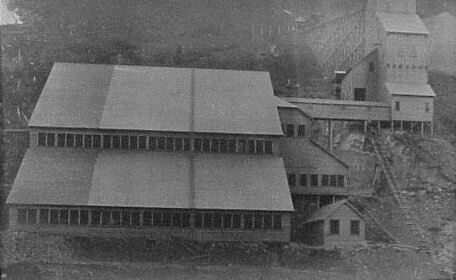 The nationally publicized trial featured Senator William E. Borah as prosecuting attorney and Clarence Darrow representing the defendants. 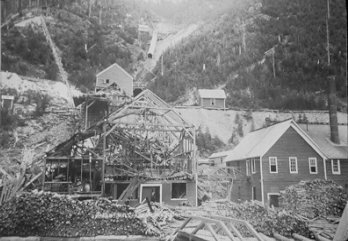 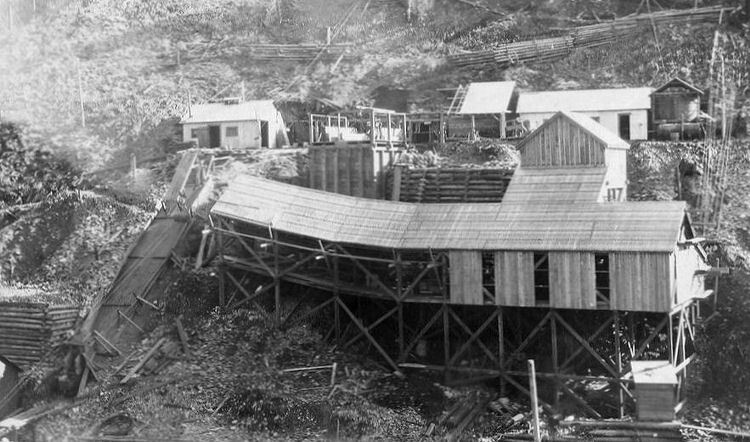 The defense team presented evidence that Orchard had been a Pinkerton agent and had acted as a paid informant for the Cripple Creek Mine Owners' Association. 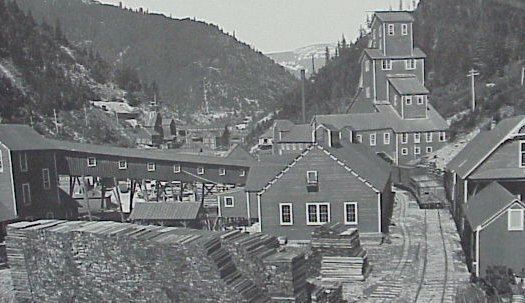 Darrow argued that Orchard's real motive in the assassination had been revenge for a declaration of martial law by Steunenberg, which prompted Orchard to gamble away a share in the Hercules silver mine that would otherwise have made him a wealthy man. 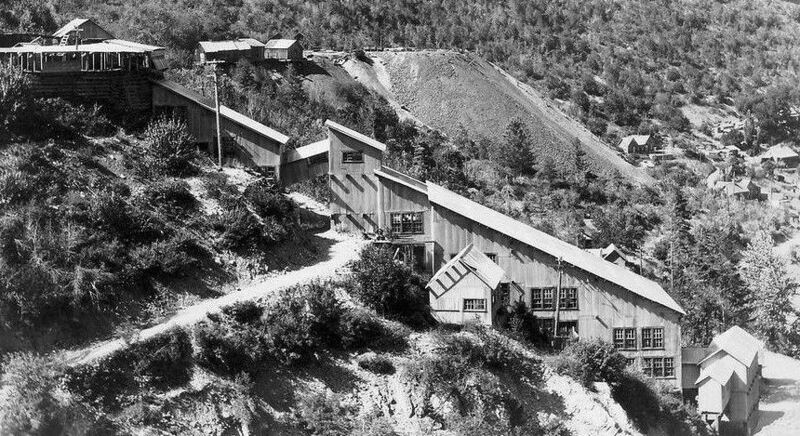 Two of the WFM leaders were acquitted in two separate trials, and the third was released. 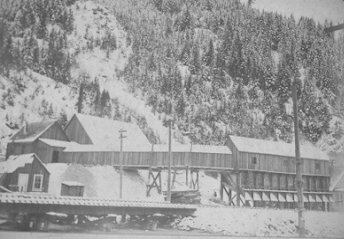 Orchard was convicted and sentenced to death. 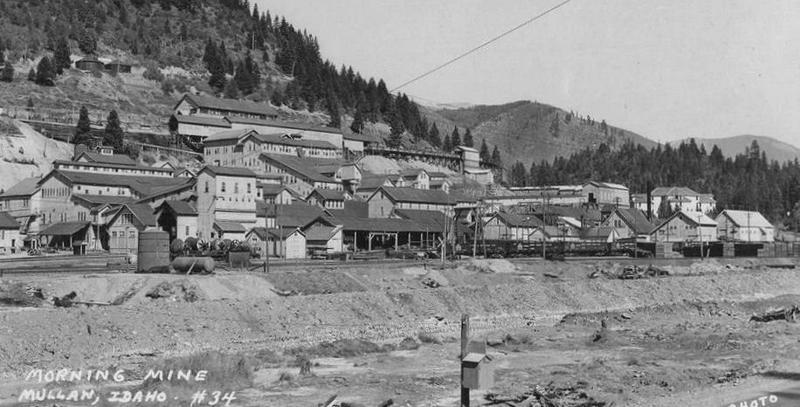 His sentence was commuted, and he spent the rest of his life in an Idaho state prison. 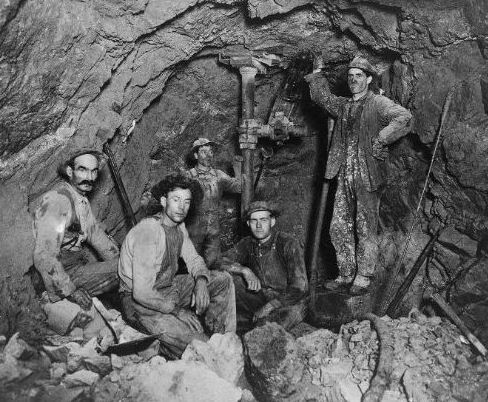 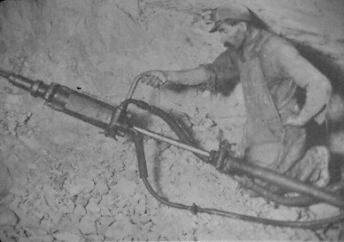 Silver Miners - Kellogg, Shoshone County, ID.